Ohio Russian Blue Rescue View other Russian Blues for adoption. 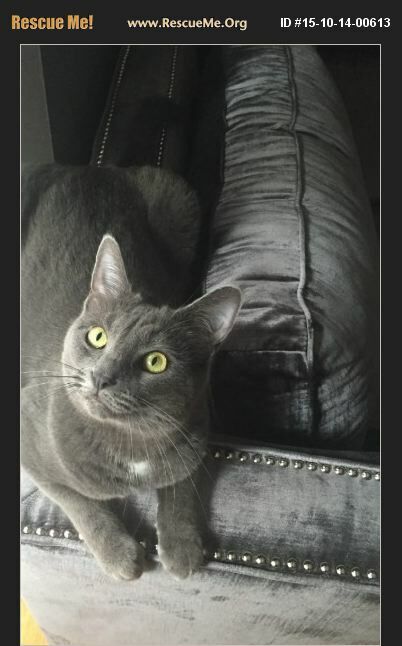 2 year male old Russian Blue mix. My owners want to raise a family so I need to find a family without small children around or babies. I love to run around and play with toys, and take long naps. I have the softest fur you will ever feel and I am quite dashing. I am very vocal and love to be petted while I eat.